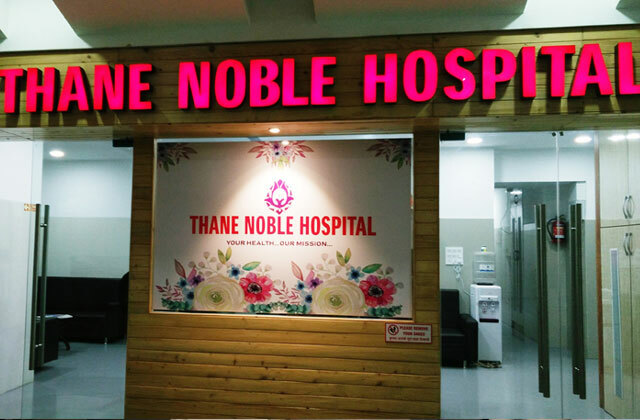 Thane Noble Hospital is a 30 Bedded Multispecialty hospital, located on a Prime Location at Ghodbunder road near D-Mart, Kavesar Thane West, It Comprises of 8 Beds of well-equipped ICU, 8 Deluxe rooms, Surgical ICU, Neonatal Intensive Care Unit (NICU),5 Specious consultation rooms, sharing room. It is serving Noble health care with its dedicated team of consultants, Intensivists & Nursing other Paramedic staff. Thane Noble Hospital is serving for Causality, Trauma, Accident, Intensivists care, Post-Operative ICU care, Neonatal Intensive Care Unit (NICU), Gynecology & Obstetrics ,Oncology & Oncosurgery. Urology & Urosurgery, Neurology & Spine Care, Plastic Surgery & Cosmetology, Dermatologist, Orthopedic & Joint Replacement, etc. Following National & International Standard protocols.